You are here: Home / Health / Why Do We Celebrate Extreme Dog Breeding? I love Bully breeds, but I don’t love how much media attention the world’s biggest Pit Bull is getting. He might be a sweet dog, but there’s nothing sweet about extreme dog breeding. Dogs bred for their extreme size are adding to the problems these dogs face, not helping. How Much Does a Hulk Puppy Cost? I’m sure you’ve seen Hulk, the world’s largest Pit Bull. At 175 pounds he’s certainly remarkable. But what do those extreme features cost? If you want a puppy from Hulk’s breeder it’s going to set you back about $5,000. But what about the cost to the dogs themselves? How do you calculate the ethical cost of breeding dogs with health problems, all for the sake of his looks? These dogs are making a sacrifice in terms of their health and well being. And if you’ve ever owned a dog with chronic health issues you know it’s not just the dog that suffers, the toll on owners can be devastating. There aren’t any known standards when you’re trying to produce a new line. His breeder admits that they’re breeding just for size, and apparently that’s all that matters. But this sort of selective breeding increases the risks for multiple health problems. My question is why – why are we so fascinated by big heads and that bulky look? Why do we look at photos of dogs with turned in feet, stocky builds, cropped ears and think – wow that looks tough. What’s so tough about bowed legs? Is being less agile a good trait to pass down? Are we fascinated by them because they look so different? Is it because they stand out from the norm? Are we already bored with the hundreds of breeds of dogs we already have, not to mention all of the doodles and mutts out there? Have you seen what’s happened to the Bulldog over the past 100 years? Once known for being a great athlete they’re now known for being ridiculously unhealthy. They can’t breed or birth on their own anymore, but that hasn’t stopped their popularity from rising. In 2013 they were the 5th most popular AKC registered breed, up from 16th in 2003. This altered figure makes it nearly impossible for them to reproduce without assistance, and the facial changes cause severe breathing problems in a third of all bulldogs. – Although Purebred Dogs Can Be Best in Show, Are They Worst in Health? I am not against breeding, but I am against unethical breeding practices. People that practice irresponsible breeding, like Hulk’s owners, are the ones that give breeders a bad name. When breeders choose dogs for extreme physical features that dog’s well being isn’t in mind, and neither is the health of their future litters. Selective breeding gives us the ability to manipulate natural selection, and it carries a heavy ethical responsibility. We need to keep the health of the dogs in mind, not just focus on aesthetics. Working dogs should be bred for their ability to perform, not the biggest skull possible. For these extreme breeders it all comes down to profit. How much money can you get for a remarkable looking dog? A lot more than just your normal looking one apparently. I find it ironic that people are willing to spend so much money on a Hulk’s pups, a breed* that makes up about 33% of the dog population in our nation’s shelters. *There’s more than just one kind of “Pit Bull,” and there are a lot of bully breeds. There’s nothing wrong with having your mind set on a specific breed of dog. You can find breed specific rescue groups or go through a breeder, but keep in mind there’s a lot to consider when finding a responsible breeder. Most puppies should have written documentation from the OFA or PennHip for hip dysplasia, as well as a current Canine Eye Registry Foundation (CERF) exam, but there are a lot of variations that are breed specific. Start by checking out the Canine Health Information Center to find out what screenings are recommended for any given breed. Hulk’s face is everywhere, and if I can ask one thing it’s that we stop celebrating him. He’s a reminder of what’s wrong with natural selection, not a role model. So please, next time you see a story like this one from from Hello Giggles don’t share it, let’s not add to the celebration. Over the past few days there have been many stories praising Hulk like this one from Hello Giggles. He’s appeared on Time, CNN, Huffington Post, ABC, the Telegraph, Daily Mail, CBC, Express, & Metro to name a few. If we’re going to celebrate Pit Bulls let’s choose a better role model. Unethical breeding aside when we focus on Hulk we’re just celebrating extreme genetics, not merit or performance. Which Pit Bull do you think should be getting the media spotlight? My vote would go to Raja, the dog credited with saving his human during a fire. Or Hades, the dog who saved an 8 year old boy from a bee attack. There are a lot of great Pit Bulls we should be celebrating based on their merits, not the size of their skull. I know we can find a much better advocate than Hulk (no offense to Hulk himself, he’s probably a really nice guy). THANK YOU. There’s hulk, the itty bitty pocket puppies, all these dogs that were bred with no care for their health or well-being. It’s frustrating and heart-breaking all at the same time. 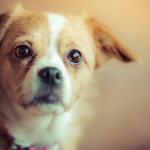 It is so frustrating, and I agree – what happens health wise to those tiny dogs is horrifying. Thanks so much for addressing this important subject – there’s just no reasonable justification for so many current breeding practices (other than money of course!) We need more people to understand the sometimes dire consequences of irresponsible breeding. Thank you, and you’re absolutely right about the dire consequences. With how fargone the Bulldog is now I don’t know that there’s any way to “save” it and get it back to a dog that’s even able to breed on it’s own. Once we get to the point of producing dogs that without our intervention would go extinct we need to question the ethics involved. Honestly, I’d be very surprised if this dog is a mix of what they say he is. It seems to me 175 pounds is way to big for those two breeds, if I had to guess, I’d say there is some kind of Cane Corso in there as well. So what kind of female dog would they be mixing this dog with? 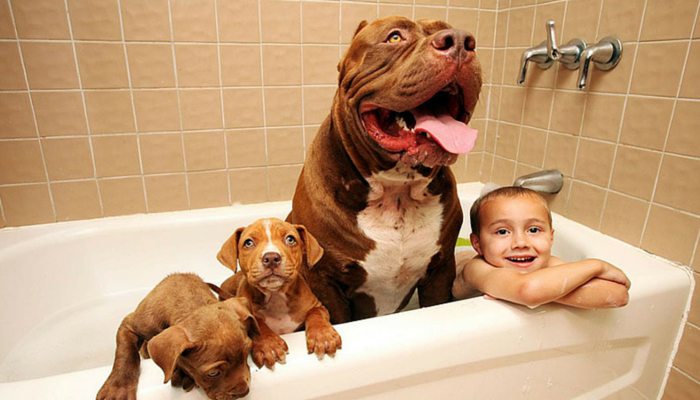 I would have concerns for the size of the dog vs the size of the pups. And yes, there will be people who want dogs this big and who will spend that money and then heaven knows what will happen to this dogs when these people figure out 1) they can’t handle the dog 2) the dog has horrible health issues. This just really sickens me. I couldn’t imagine the poor females involved in all of this. Proportionally they seem to have heads that are similar to Bulldogs which need to have C-sections over 90% of the time because their birth canal isn’t even large enough for their skulls anymore. We try to celebrate rescues and dogs making a difference not extreme breeding. It is great that you are bringing attention as this seems very irresponsible. I’ve seen this dog, but didn’t really know his story. He doesn’t seem like a pit bull to me, because he’s just so big. He does look like a Dogue de Bordeaux which makes more sense because that breed can get well over 100 pounds. Probably close to 150. I might also have concerns for the female that has to birth these puppies… you said they are selling his sperm, but I wonder if they will sell it to anyone (assuming they will for $$) or if they have any concern about who is going to birth the pups. Also – I just have to add that I strongly dislike the way pit bull breeders stylize their websites lol… just why?! They are all pretty terrible, aren’t they? I’ve noticed the same thing lol. I tried to figure out what their screening process was, as far as I can tell being 21 or over seems to be the only sticking point. They certainly don’t seem to offer up a lot of detail on their kennels page. As you know, we write about this frequently relative to Labs and not just the extremes in breeding but in preparing for the show ring. These extremes are absolutely unethical and what they’ve done to certain breeds in the name of producing XXL or XXS or flat faces or bowed legs or whatever is unnatural and unethical – drives me crazy. Great point about our dogs already having health issues – we certainly shouldn’t be making it worse. My own mixed breed already has arthritis (she’s 4) and it’s devastating, I couldn’t imagine going through a breeder only to find out they don’t even do the most basic health screens for hips & eyes. The whole media frenzy surrounding Hulk just…breaks my heart, really. There are TONS AND TONS of pitties in shelters all over the world, yet these people are raking in the cash because of unhealthy, unsafe breeding? It disgusts me. It was the same reason I sighed when I saw that photo of a Dachshund/pit bull that went viral several months ago – sure, he was cute and unusual…but I shudder to think about how many people thought, “Hey, I should breed those!” after seeing how popular he got. 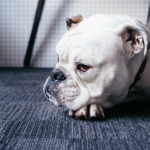 When I first started becoming interested in dogs, I did a bit of research on the bulldog breed and was SHOCKED – they look completely different today than they did just fifty years ago. Their lifespan keeps decreasing, and yet people keep on breeding. When will it end? 🙁 This is a very important, well-written post, Jen – sharing! I don’t understand the frenzy around him either. Today I read about him on Time, Hello Giggles, and Metro alone; all stating that he’s pretty much awesome and his puppies are adorable. And I agree with you about the Bulldog – to think they were great athletes a century ago is insane. Now 1/3 of them are plagued with breading problems, they have the highest percentage of hip dysplasia, they can’t birth on their own, and they’re not even supposed to be outdoors on hot days.. There’s nothing wonderful about what we’ve done to them. The answer is simple – because we’re a species of morons. You just made my whole day, that’s spot on. Awesome article! I love the idea of Hulk but there are so many health implications that people do not consider when breeding. Not to mention people need a $100 and $5,000 worth of training; not the other way around. It’s sad how many breeds have become so extreme it impacts the dogs’ quality of life immensely. Dogs should be able to run, breathe, give birth naturally and have decent lifespans! I couldn’t agree more. Running, breathing, birthing – just some of the basics… It’s so sad. It is so sad that Hulk is being exploited like that. 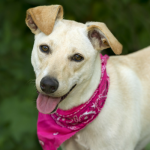 There are so many dogs in shelters that need homes! Humans drive me crazy. We get so stuck on fads and crazes that we don’t pay attention to what might happen down the road. It would be great if people would breed for the traits that make it easier for an animal to survive or just not breed them at all until we solve the overpopulation problem. That small dog phase 10 or 15 years ago (whenever it was) was crazy. Everyone needed the smallest dog possible, and unfortunately those teeny ones are also plagued with all sorts of health problems. Do we really need to mess around with dogs & cats that much? Are we not satisfied that a regular sized Chihuahah is small enough, and that a Great Dane is big enough. 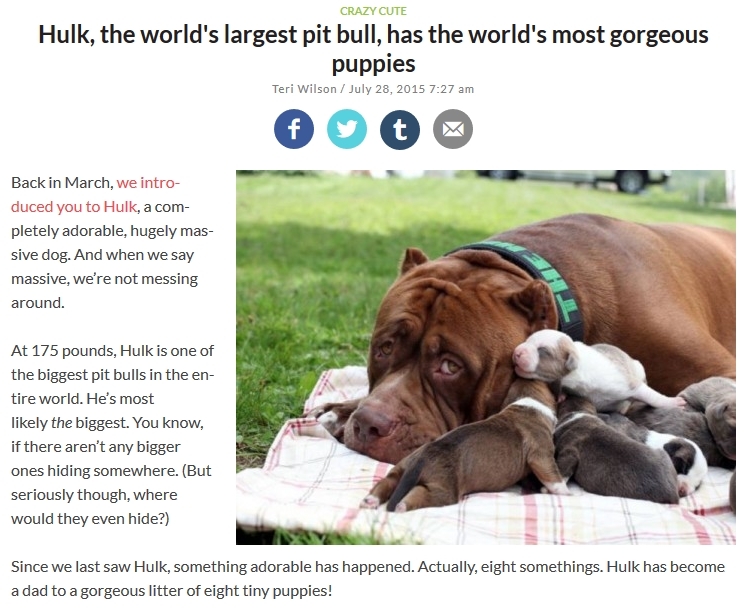 Wow, it’s hard to believe the size of Hulk and also the cost of the puppies and breeding fees. All for producing dogs that most likely have health problems due to extreme breeding practices. I hope people wake up, do some research and think before making their decision about where to get their next dog. Thanks for helping to raise awareness with this post, Jen! People seem to like extreme- extreme slope to the back, extreme pushed in face, extreme tinyness, extremes that are often not healthy or in the dogs best interest. If you look at many dog breeds, they don’t look like the breed standard of years past. I’ve seen this happen with a lot of breeds. You have the American line German Shepherds versus the German and Czech lines. There are the nut jobs breeding White Shepherds, which are considered a breed abnormality. Don’t get me wrong, I think they are pretty and if I came across one that spontaneously happened in a regular breeding, I’d admire the daylights out of it, but I would make sure that dog was spayed or neutered and not pass all those dangerous recessive genes along. I also wouldn’t repeat a breeding that resulted in a dog like that. Most of the breeders that I know have a lot of ethics and do it because they love a certain breed and want to help make that breed better. The shift to designer breeds and the push for dogs with recessive traits, like white Collies, silver Labs, panda Shepherds and the like aren’t helping anyone. 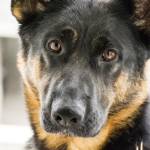 Unwitting families are in for a lifetime of heartache dealing with a dog that has health issues for life, or having to make hard choices about what is best for their dog. We came from a breeder and Mom Paula checked her out very carefully before choosing to get kittens from her. Even though we are Persians, we do not have the extreme faces that many Persians who are shown have. Truffle has a doll face and Brulee’s face is a little flatter, but not the extreme. We may not be “show” kitties, but Mom Paula thinks we are purrfect just the way we are. Thanks for sharing such an important post – as cat owners, we’re often not as aware of some of these issues so we’re learning a lot from reading your blog articles. I completely agree with you on this. Breeding “extreme” dogs invariably will make for less healthy dogs, even worse it will no doubt attract unscrupulous people who want these puppies for the wrong reasons -possibly really wrong reasons. This “dynasty” certainly does see dark. Thanks for opening up this discussion. It makes me sad that some horrible folks breeding for a specific look on a pet – how many Grumpy Cats do we need? One – stop trying to make cats look like that and the same with dogs. It scares me and saddens me and the pets pay in the end. I agree in that checking rescues and shelters for a specific breed should be the first choice. Responsible breeders are a good second choice if you have your heart set on a specific breed of dog. Thanks for sharing. In Australia we even have breed-specific cat rescues. Quite a few people get rid of purebred and mixed bred cats too. A rant after my own heart. I couldn’t have said it better. (And I couldn’t have said it without a half-dozen obscenities either, so kudos to you!) I’m a GSD girl. Love them! Studied the breed standard, combed through pedigrees, found a great, ethical hobby breeder before I bought one (all but Jedi are rescues). So as I walk the park with my beautiful, 85 pound, 26″ tall dog (perfect for breed standard) I always have people tell me about their “King shepherd” — a freakishly large mutant dog. They put an extra 50 pounds on a frame not designed for it and wonder why they have hip and joint issues. GRR. Don’t get me wrong, I love giant dogs. (Still working on the Hubby, but I *will* have a Newfie some day). But if you want a giant dog, get one that is designed to be so. 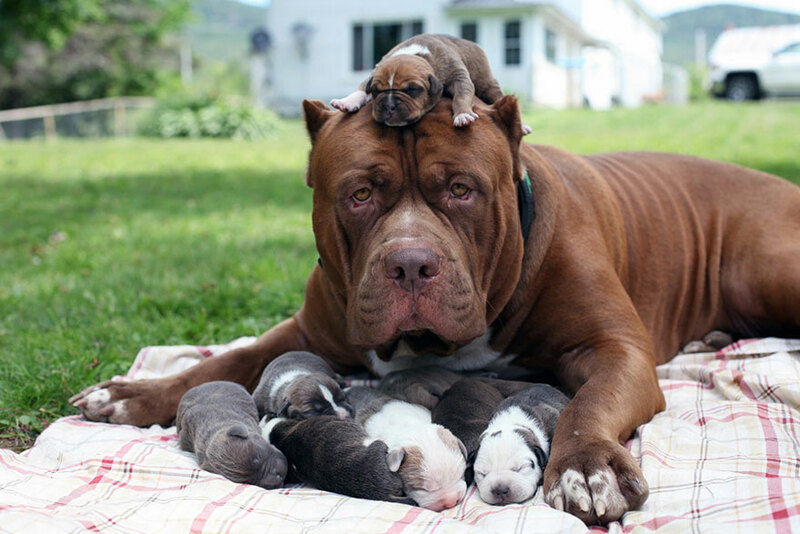 And don’t get me started on “teacup” dogs . . . .
Reading about Hulk and prospective puppies made me think of bull dogs too. There’s no reason any dog breed should not be able to give birth without surgical intervention most of the time. Thanks for writing this, and big thanks for including the statistics about pibbles in shelters. Why make more, and try to make them bigger, when there are so many that need help right now? And on a personal note: I have an unusually (okay, maybe abnormally) small Boston terrier. She clocks in at 7 pounds, rather than the breed-standard weight of about 17. The top question I get when people see her is, “Where can I get one?” Now, I love her. But I in no way, no how, think she should be cloned. Weird, out-of-the-norm sizes are just not what we should be striving for, if we claim to love the breed. I suppose some would say that we should not have bred Thunder because he is 10 pounds over standard and is a large dog. However, a dog is more than the number on a scale or its size. Two large dogs do not always produce large pups. That is not to say that I agree with breeding Hulk (looks like that is all they are breeding to every female which scrams puppy mill to me).. There are real problems with mixes that grow to that size (because they are often unsound to start). Your article says he is 22 months. If that is the case there will be no hip clearances since you cannot obtain those until the dog is 24 months. Natural Selection and Animal Husbandry/Breeding of domesticated animals are two completely separate issues. When domesticated animals are bred by humans, any idea or discussion of natural selection becomes irrelevant. I agree and disagree with several points made in the article. Natural selection is out of the question, any time animals become domesticated. Maintaining working ability in working breeds is not so much necessary. In most cases, “working breeds” are living in pet only home environments. I’m not saying that situation is ideal, but it is realistic. APBT’s every other terrier breed was originally bred for the purpose of killing small furry things. Although they excel at other tasks, they are almost exclusively kept as companions only. Gameness is not a desirable trait possessed by a companion pet in most cases. Responsible individuals choose the breed and type of pet they own based upon appearance and temperament, ideally based upon their tastes and lifestyle. With all of the controversy surrounding APBT’s, coupled with the fact that most owners do not have the time, energy or ability to own, train and maintain a working or gamebred dog(and in many cases any dog), it’s probably best that some traits be bred out in favor of more practical traits that make them less aggressive, better house pets. Good article but it also has some misinformation. I’ve had dealings with these type of dogs meaning bully breeds many of which are called pitbulls but aren’t. First off Hulk isn’t a pitbull. His ped consists of Am bully and one of the dogs in his ped “Whopper” is a mix breed. American bulldog to be exact. No APBT is in his ped. He is just a cash cow and his owner probably hangs papers so he may have mastiff in the mix as well. Various breeds and breed mixes like the Am Bullies are mistaken as being pitbulls because ppl don’t know any better. Some lines have Am staff and APBT as the foundation but the Am bully has been around 30yrs now and any APBT that was in it is watered down or non existent after more than 4 generations after the first cross breeding. Other breeds have been tossed into the Am bully to influence size, color, and thickness as well as head size. Pockets have English bulldog/Olde English bulldog, exotics have French bulldog etc. The xl and xll have various mastiffs/bandogs. The classic resemble the original APBT and Am staff breedings with most looking more Am staff. These dogs however similar in looks are all different breeds with their own breed standards with the Am bully officially being recognized as its own breed in 2015. Alot of shelter dogs are a mix of these breeds and are backyard bred Am Bullies or bully breed mixes. Without a ped they are simply mutts. Those are the dogs flooding shelters. I have yet to see a authentic APBT in a shelter. Simply because these dogs aren’t bred and sold to just anyone because they aren’t a breed for everyone. There aren’t types of pitbulls but types of bully breeds that look similar to a pitbull. Misinformation has ruined the APBT image and name. If you think a American Bully, American Staffordshire terrier and American pitbull terrier are all the same despite only one having pit in its name. You need to do research and learn what makes each different before you can address BSL and breed specific issues.